The largest island in the Hawaiian archipelago has recorded nearly 250 cases of dengue fever since the start of September, prompting officials to declare a localized state of emergency. The big Hawaiian island hasn’t had this many cases of dengue since 1940, making it the largest outbreak in decades. The disease, which causes flu-like symptoms and can develop into the more severe dengue hemorrhagic fever, isn’t endemic to Hawaii, but it occasionally pops up when it’s brought there by infected tourists and shipping. The current outbreak on the Big Island is the first cluster of locally-acquired dengue since a 2011 outbreak on Oahu. Dengue is currently being spread by the A. aegypi and A. albopictus mosquitoes, which are also responsible for spreading Zika. Other mosquito-borne viruses that have appeared in Hawaii include encephalitis, malaria, West Nile virus, and yellow fever. 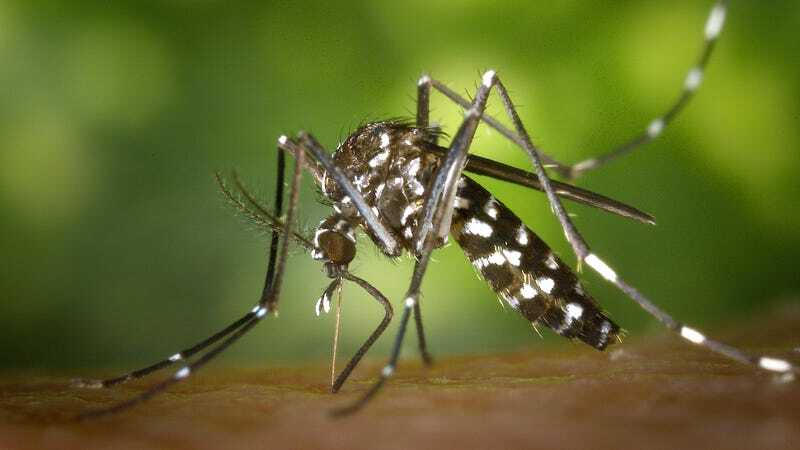 Hawaii County Mayor Billy Kenoi declared the state of emergency on Monday, facilitating efforts to reduce mosquito populations on the island, such as disposing of old tires in landfills (unused tires tend to collect water, which mosquitoes use as their breeding grounds). The governor of Hawaii, David Ige, said he supported the SoE, but said a statewide emergency is not warranted. At least not yet. Given the current dengue epidemic on the Big Island, and in consideration of the ongoing Zika epidemic elsewhere, that could change quickly. Last month, a baby born with brain damage in Oahu became the first case of Zika affecting a birth in the United States.